Explore your Cloud journey with IT Convergence at Oracle OpenWorld 2018. IT Convergence experts at Oracle OpenWorld 2018. Throughout our years providing Oracle services across the globe, we’ve learned that a project’s success depends on the people behind it. At ITC, we invest in our people, because we know it’s the right move for our customers, and for us. Our talented team boasts a profound collective experience in Oracle systems, having watched the transformation and spread of Oracle technologies on a global scale since their inception. Among our ranks you’ll find Oracle ACE Directors, authors, and international Oracle leaders. Meet some of the faces that make things work at IT Convergence. 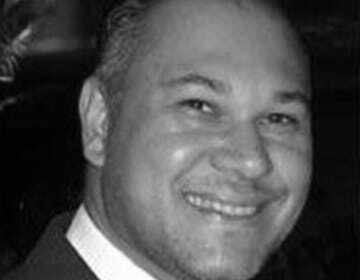 Gustavo is an Oracle ACE Director and IT Convergence’s Chief Technology Officer, and has been with ITC since 2006. Throughout his tenure as CTO, Gustavo has led IT Convergence by anticipating and reacting to major technology changes, making sure our teams – and our customers – are one step ahead. Gustavo’s thought leadership has been presented in more than 200 conferences around the world in more than 25 countries in North America, Europe, Latin America and Asia. He is an author of multiple Oracle publications, and the President of the Latin American Oracle User Community. In this session learn how organizations in Latin America (from Mexico down to Argentina) are complying with the local requirements established by the local statutory department. For instance, Latin America is becoming a world leader in the use of e-invoicing as governments spearhead the drive to reduce tax evasion through real-time invoice validation. Quite a few countries—and the list is growing—have legislated electronic accounting rules that impact how charts of account are managed, as well as accounting records and transactions in your ERP. Gustavo Gonzalez, CIO / CTO, IT Convergence, Inc. The enterprise command center is the central technology component bringing information discovery and visualization to Oracle E-Business Suite. Learn how to bring enterprise command center capabilities to your business users. This session covers technology dependencies, installation details, performance and deployment options on the cloud vs. on-premises, and future roadmap for customizability, multilanguage support, high availability, and more. Edelweiss is an Oracle ACE Director specializing in analytics, author and an Oracle community leader. 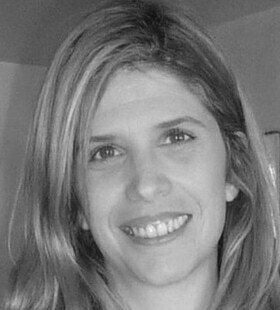 She serves as Vice President and Director of Community for the Latin American Oracle Users Council, and is a founding member and VP of the Oracle User Group of Uruguay. 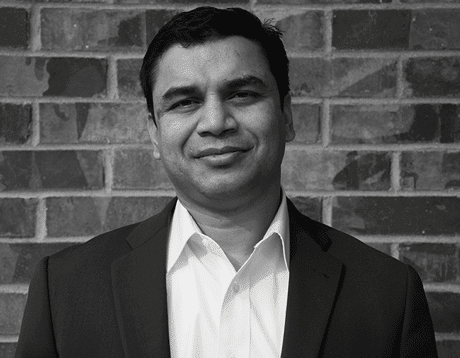 Here at ITC, Edelweiss is the Director of our Business Intelligence and Analytics practice. 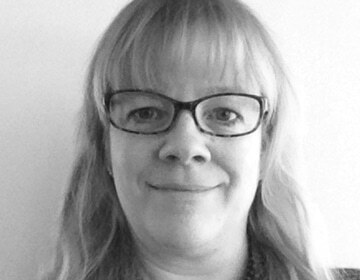 She leads a with technical certifications in Oracle Analytics Cloud, Oracle Big Data, and Oracle Data Integration, and years of hands-on experience with Oracle BI solutions. In this session see real cases of moving Oracle Business Intelligence Enterprise Edition on-premises to Oracle Analytics Cloud. See the steps to perform this migration and explore the issues that can come up and how to troubleshoot them. In addition explore the most common administration tasks. This session also includes live Oracle Analytics Cloud demos. Edelweiss Kammermann, CMS BI Manager, IT Convergence, Inc.
A results-driven Oracle professional and expert in Cloud Architecture, Alain is highly adept at evolving systems to improve their performance. Alain has worked with Oracle technologies for over two decades, developing a deep level of expertise with Oracle migrations backed by a vast array of hands-on experience. In this session, IT Convergence, a global enterprise application services provider with core competencies in Oracle solutions, explains how it optimizes Oracle VM infrastructure and automates the Oracle Linux guest builds. Through a customer case study, attendees learn how to optimize and automate Oracle VM deployments for better reliability and predictability. Alain Campos, Cloud Engineering Architect, IT Convergence, Inc. IT Convergence is a global Oracle consulting firm that provides white-glove services for Oracle Enterprise solutions. We take pride in our commitment to finding the ideal solution for each of our customers, and have built a practice committed to accommodating those needs. We’d love to help you define your Cloud journey at OpenWorld – just tell us a little bit more about your needs, and we’ll connect you with an expert from our team. 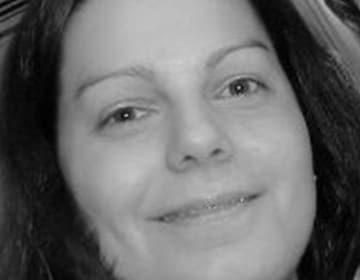 Heidi Ratini is an influential and driven IT Professional offering over 20 years of experience in infrastructure and technology. Heidi’s Oracle career began as an IT Administrator, and since then she’s continued to apply her expertise in various infrastructure management roles. 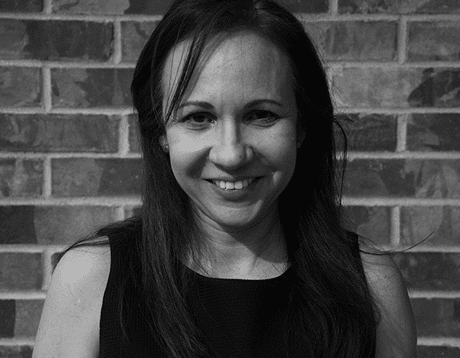 Heidi currently serves as ITC’s Senior Director of Infrastructure and Engineering. This year, Heidi is being selected as a winner of the 2018 Oracle Excellence Awards, as a Leader in Infrastructure Transformation. The award recognizes her ability to create positive transformation for businesses by leveraging Oracle Infrastructure. We’re excited to congratulate Heidi on a well-deserved recognition! Stay tuned for the awards ceremony at Oracle OpenWorld 2018! Yaided is ITC’s head of Cloud Managed Services, with over 20 years of experience guiding organizations in implementing high-value technology and business-process solutions. Her expertise in conceptualizing and implementing shared services models for multiple clients and verticals has brought our CMS delivery expectations to an even higher standard. Kim is a Sr. Global Director of Enterprise Business Solutions at IT Convergence. 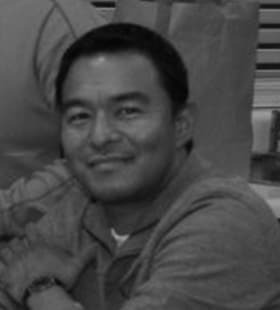 With more than 25 years of experience, our teams look to Kim as the go-to expert on anything Cloud & Managed Services. She is a hands-on senior level manager devoted to crafting business solutions that provide critical operations, technical and functional foundational and strategic support to customers within a variety of industries. Kim is known for her delivery expertise and ability to architect sound strategic Cloud strategies for the long-term betterment of our customers. Sudhir Dubey is a recognized leader in the Oracle E-Business Suite and Fusion Middleware technology spaces. With over 20 years of industry experience, he has managed a wide array of global scale EBS, PeopleSoft, JDE, and Oracle Fusion Middleware implementations. Sudhir is currently the Vice President of our Professional Services. ITC relies on Sudhir to apply his experience and insight to finding and solving our customers’ most hindering IT issues. 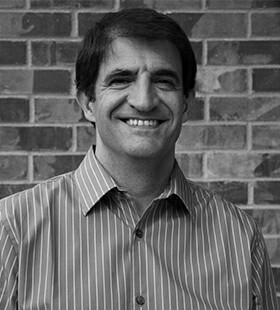 Gilberto Lima is a Brazil expert with 30 years’ industry experience including 25 years of Oracle Applications experience. His prime responsibility beyond managing and supporting our Brazilian operations is to manage the quality of work we deliver and groom our local consulting team. With a broad range of business process knowledge that spans Finance and Regulatory Tax, Human Capital Management, Supply chain, and Manufacturing, Gilberto works strategically with companies to help them understand the best way to gain value from their IT investments in Brazilian Operations. 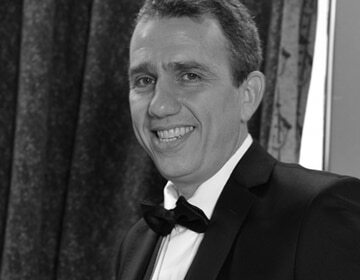 Diego Nomberg is our Vice President for Latam Solution Sales, leading all of our sales efforts and team in the region. He has more than 25 years of experience in Oracle Business Applications, specially around Oracle E-Business Suite, and expertise in solutions and strategies definition for multinational projects, thanks to his deep knowledge in localizations and regulatory compliance. Stop by our AP Automation Genius Lab at the Booth #2713, to learn about how we can help automate your AP processing. Accounts Payable Automation is one of the most impactful business strategies leaders can pursue to save time and operations costs. At ITC we build our own Oracle accelerators, including pre-built scripts and testing scenarios that slash time businesses would otherwise spend on manual testing. We also partner with industry leaders to provide our clients with cutting-edge automation in their Accounts Payable workloads. Enter our Cloud Assessment Raffle for a chance to win a Cloud Assessment! We incorporated years of infrastructure and platform implementation and support expertise into a series of health checks to secure, strengthen and optimize your production system. Drop by our booth early for a $500 discount card towards a portfolio of health-checks or a security assessment to make sure your environments are running optimally. We are excited to help you deliver on the promise of Cloud and look forward to meeting you in San Francisco Oct 22- 25, 2018!